From zero to hero in no time flat. 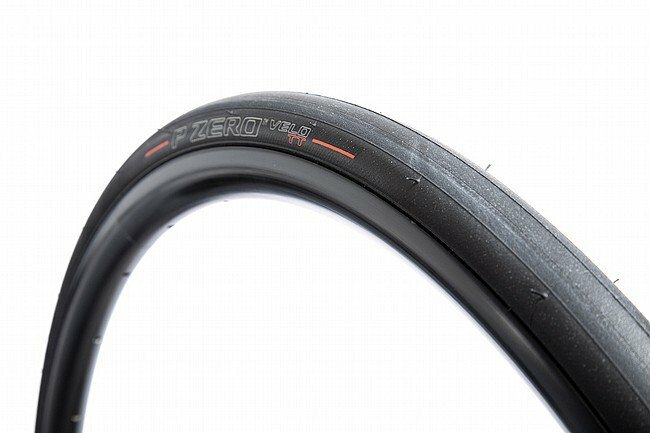 The PZero Velo Road Tire benefits from Pirelli's decades of expertise at the top level of motorsport racing and sets a new standard for clincher tire performance. It benefits from Pirelli’s SmartNET Silica® technology, which provides outstanding grip in the wet and dry and unrivalled levels of puncture resistance and mileage. It used to be the case that you had to choose between grip or durability, Pirelli’s PZero Velo means this is no longer the case. Pirelli's SmartNet Silica grants both rolling efficiency and wet-weather grip. FGD and ICS technology-powered tread design provides sensational handling confidence and performance. SmartNet Silica and the special aramid fiber puncture resistance belt provide extensive mileage and reliability.